By publicly scolding an employee, you may feel like you’ve sent a loud-and-clear message. But it comes at a risk: A solid contributor might quit. Joel Manby offers a case in point. In 1999, he was CEO of Saab North America when he got a surprise call from his boss on Easter. Calling from Sweden, his boss demanded that Manby fly to Sweden immediately to “discuss” his North America unit’s poor sales results. Manby abandoned his Easter plans and hurriedly packed for his flight. Angry but compliant, a jet-lagged Manby arrived in Sweden. The meeting wound up occurring at 3 a.m. (Eastern Time). In the meeting, Manby’s bosses vented their disappointment at him in front of Saab’s global executive team. They criticized Manby for missing quarterly sales targets, which made him feel like a misbehaving student facing a scornful principal. “There was no talk of causes or solutions, just accusation and belittling commentary,” Manby writes. Reflecting on the unpleasant experience, Manby realized that his employer had spent $10,000 to fly him overseas just to humiliate him in front of his colleagues. He had run Saab North America for three years and led his team to sales records in five of the last six quarters, but supply shortages and shipping issues derailed his unit’s recent performance. Manby kept his composure at the meeting. But on the flight home, he vowed never to make the same mistake with his employees. On the receiving end of public admonishment, he understood how such behavior undermined morale and diminished one’s dignity. Within a year, Manby left Saab. 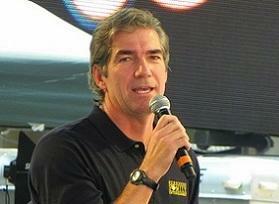 He’s now CEO of Herschend Family Entertainment, the largest family-owned theme park company in the United States. — Adapted from Love Works, Joel Manby, Zondervan.